"There is narrative potential for years in the system presented here and I absolutely love it to bits. This book is stellar and deserves a final verdict of 5 stars + seal of approval, is a candidate for my top ten of 2016 and receives the EZG Essentials-tag". - Endzeitgeist's review of Creature Components Vol 1 for Pathfinder which was #5 on the Top 10 of 2016 list! Looking for the Pathfinder version? You can pick it up here! I hope the publisher still reads this: For clarification, on pg 3 it is mentioned that if you succeed on a DC +5 you get an additional component. On pg 43 for competent crafter feat, the 3rd point is the same thing, so it doesn't seem like much of a benefit, but I feel I'm missing something. Thank you. Is this the most up to date version or the other one I see two entries. Creature Components Vol 1 and Creature components Vol 1 5e. Is this one for 5e only and the other is more broad use? Creature Components Volume 1 is for Pathfinder, this one is for 5E. Hope that helps! $15 for 58 pages seems steep. Yikes...the content sounds really interesting, but at $20 for 58 pages I'd want a softbound book at least. 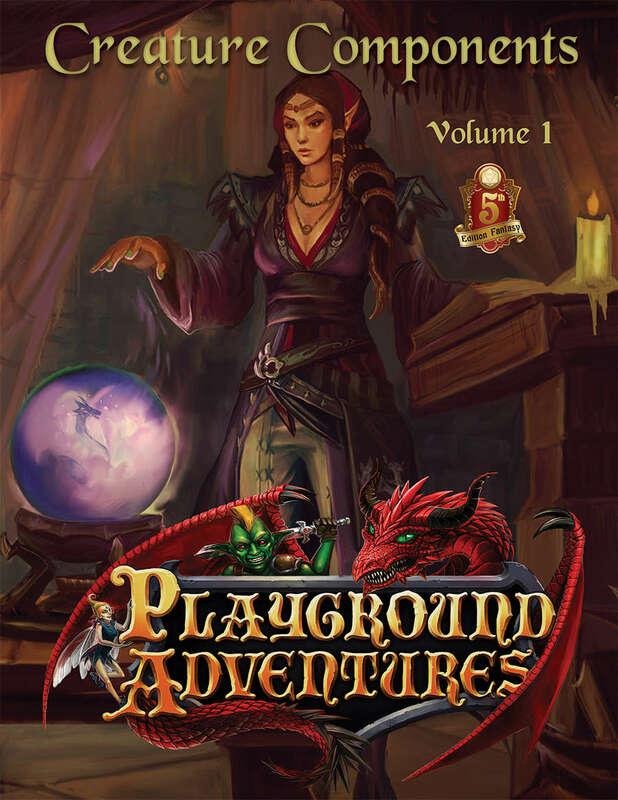 I've bought a number (a ridiculous number if I'm being honest) of 200+ page core rulebooks on this site for that price. That ... is some weird error. Fixed! Also, it should be on sale during DTRPG's Christmas in July event.